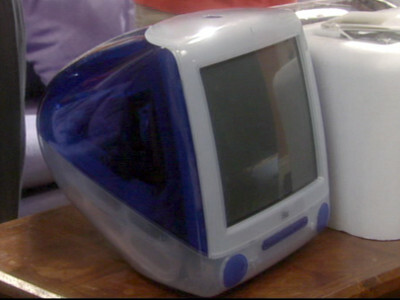 This model revitalised the Macintosh brand with its much-copied translucent case in bondi blue that has become a design icon. 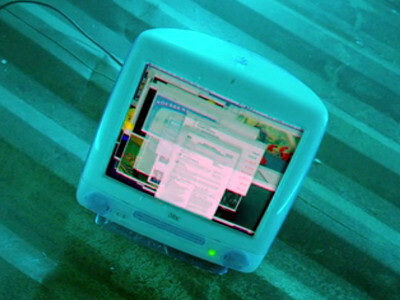 An iMac is used to organise the rave. This iMac with a G3 processor appears to be running Windows. 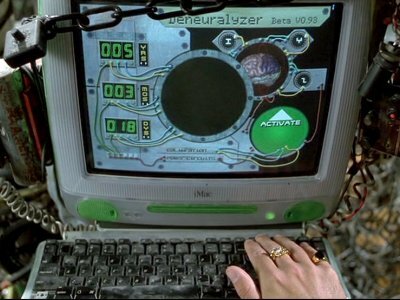 Maury's computer contains vital evidence about the wrongdoings of Mugatu which Derek and Hans utterly fail to extract. When Devlin decides to sell his collection on "Black MarkEbay" a number of people around the world view the web site. 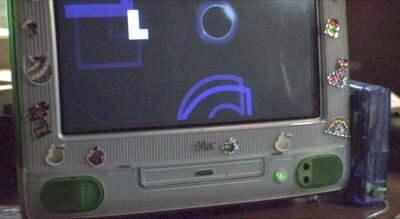 One has a slot-loading iMac G3. 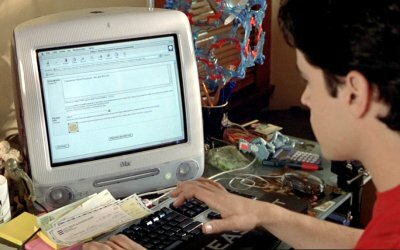 Zac uses his iMac to sell stuff on Ebay, to raise money for a car. 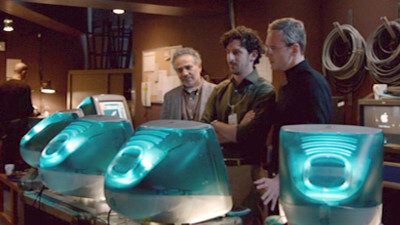 There are a number of iMacs in the advertising agency. 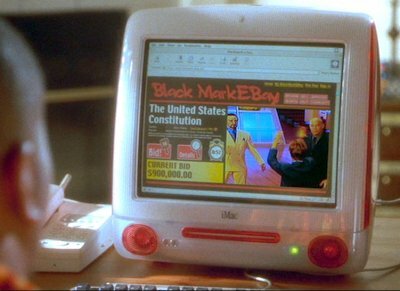 The boys have an iMac in their room that they use only very occasionally. 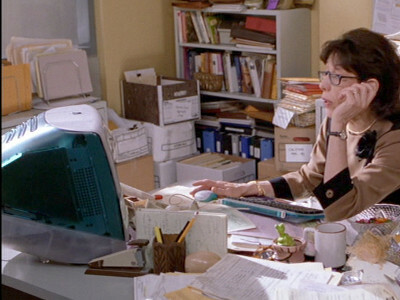 Mary has an iMac in her office that she uses for planning the wedding. 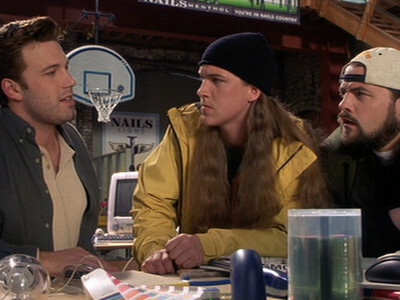 Whilst visiting Andrew's family in Alaska, Margaret urgently has to use a computer. 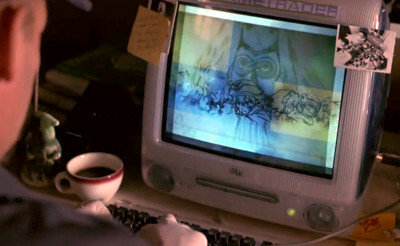 They visit the local internet cafe where Margaret uses a rather aging iMac with a dial-up modem. Catherine uses an iMac at home whilst considering how best to treat one of her patients. 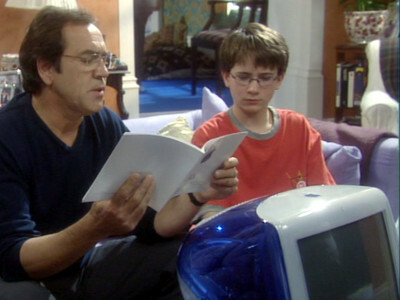 Jack uses his niece's iMac to look at a crucial video disc that his brother had hidden before his death. 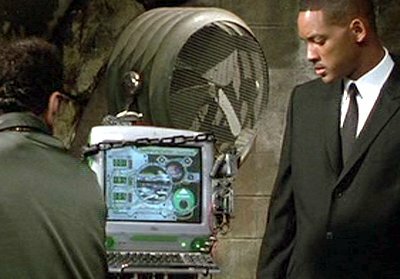 In order to regain his memory, agent K must be placed in a machine called the Deneuralyzer of which an iMac is an integral part. 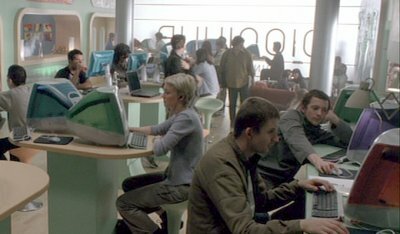 After returning from the island at the end of the film, Richard visits an internet cafe that is populated with iMacs. 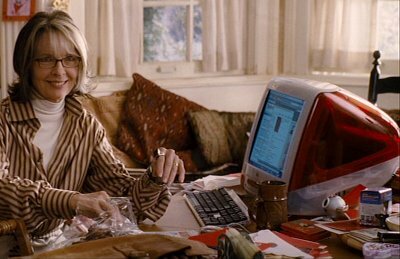 The offices of one of the smaller publishers that Xavier works for is equipped with iMacs. 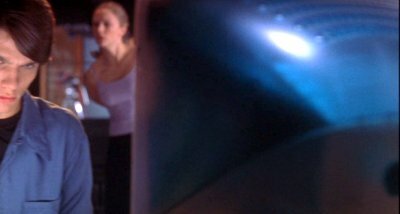 Apple iMacs are used in Bridget Jones' office. 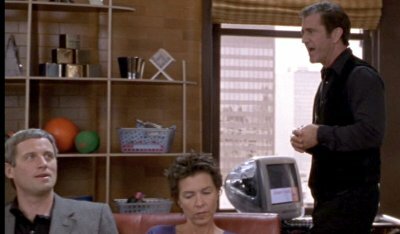 Meredith's potential mother in law casually uses her iMac G3. 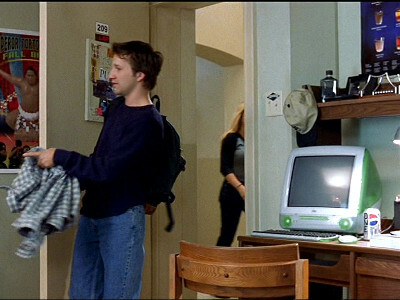 Michelle keeps a room ready for Patty, in which there is an iMac. 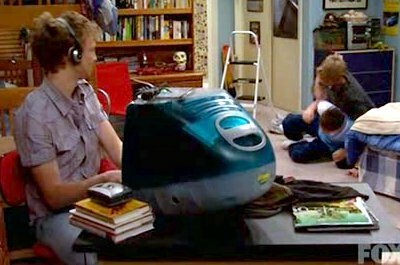 Josh has an iMac in his college room. 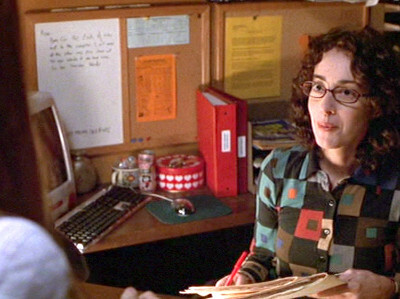 Shaun's student counsellor uses her iMac to check the records and discover that she accidentally swapped his records with that of another student. There is also an iMac in the admissions department at Stanford. 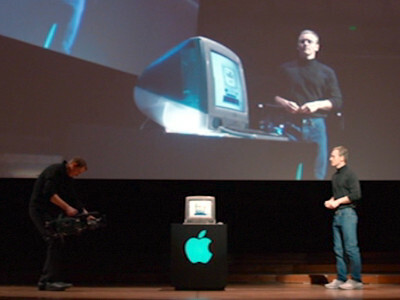 The iMac appears backstage at the 1998 launch and obviously during the launch itself. 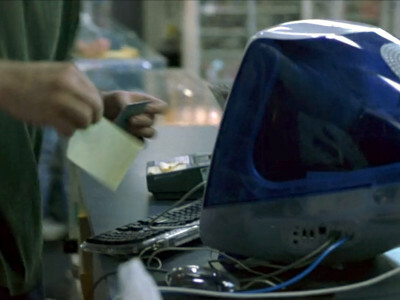 Michael's new computer is an iMac. Hubert's daughter Yumi has an iMac in her bedroom. 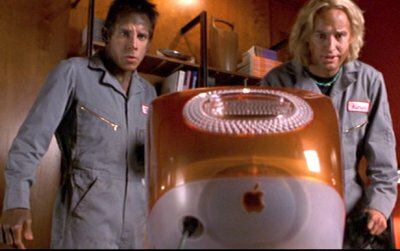 There's an iMac in Holden's offices. 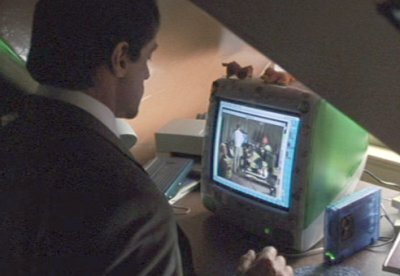 After being captured by the game, Vee is given instruction via an iMac. No network cable on display. 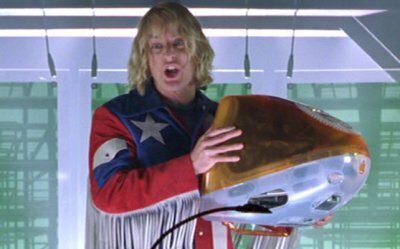 May have had a WiFi card, but would WiFi work inside a container? 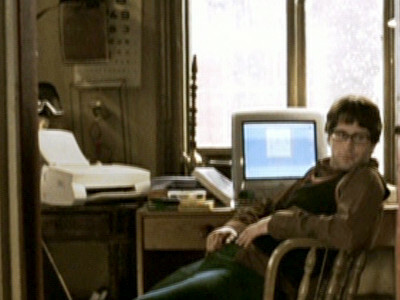 Hlynur has an iMac that he uses to while away his idle days. 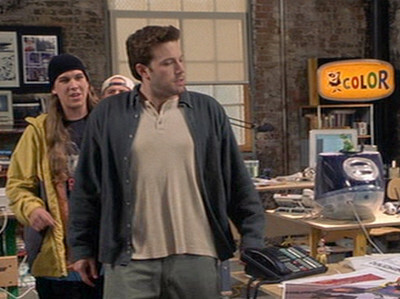 The movie studio boss has an iMac in his office. 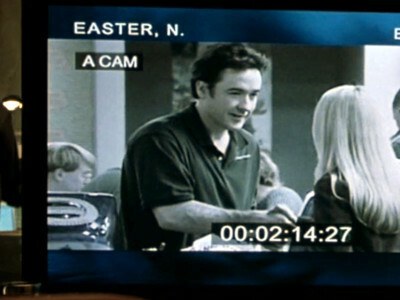 Nick Easter uses an iMac in store that he works in and also has one at home that Fitch's team try to extract data from.